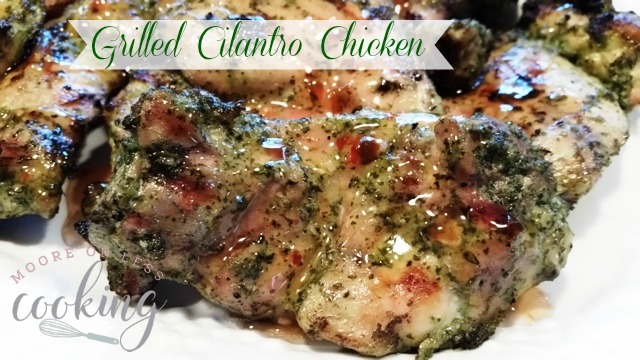 Marinated tender, juicy, grilled cilantro chicken with a sweet sauce glaze. This will be your favorite grilled chicken this summer! The flavors are fabulous! Whew! It has been hot in Maine! Believe me, I am not complaining EVER about the heat after the winter we had. But still, there is no reason to cook in my kitchen. I will be one big sweat ball! 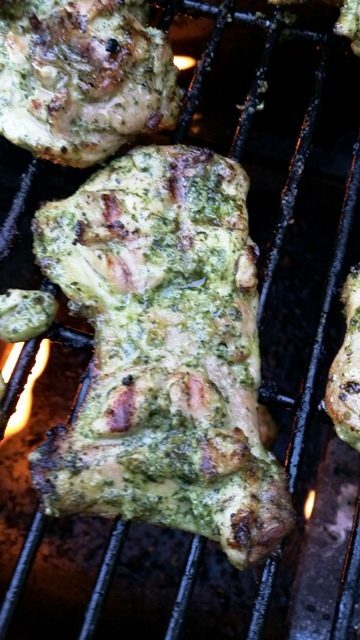 I can’t get enough of grilled chicken this summer. My gas grill and charcoal grill are working full time. I have an abundance of basil and cilantro growing in my vegetable garden and wanted to try a juicy marinated grilled chicken. 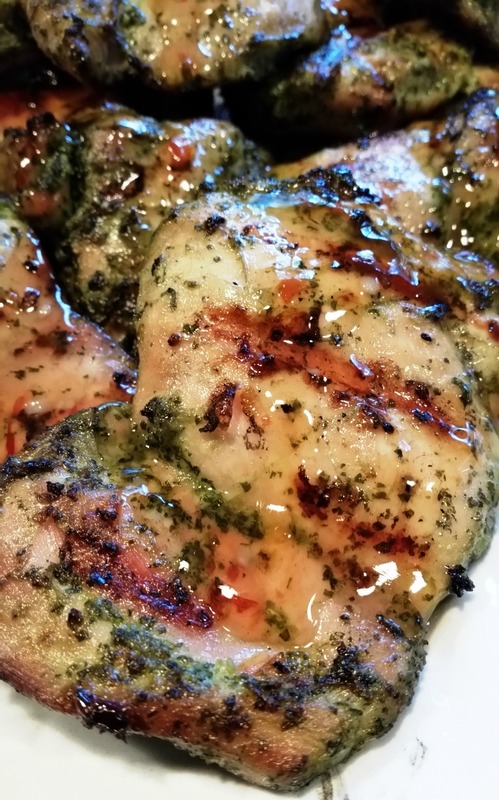 Marinade this chicken all day or overnight to get the most flavorful, melt in your mouth chicken! This marinade is absolutely delicious. I could eat it on everything! 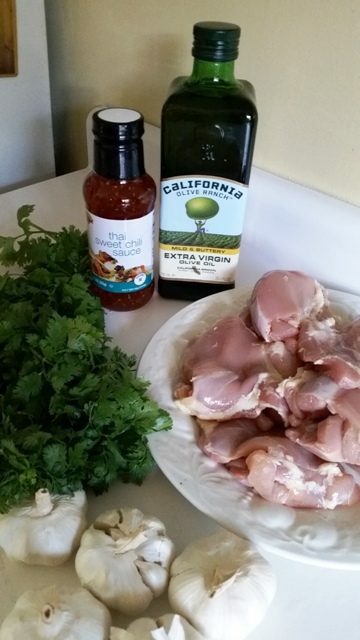 What you will need for this recipe: Chicken Thighs, Olive Oil, Cilantro, Garlic Blend all ingredients ( except chicken) in a Cuisinart or blender until smooth Cover chicken thighs with marinade in a Ziploc and place in refrigerator for 12 hours or overnight. Grill chicken for 4-5 minutes on each side. Brush with sweet chili sauce. Serve on a platter! Enjoy! 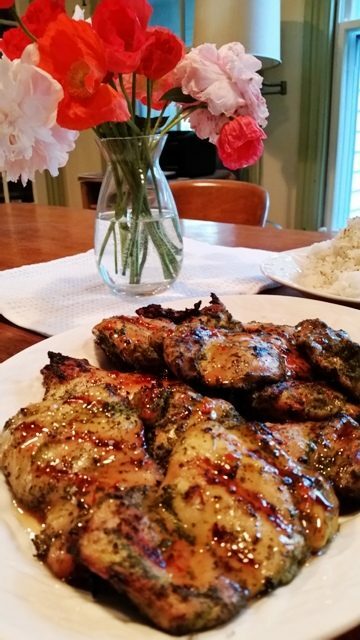 Marinated tender juicy grilled cilantro chicken with a sweet sauce glaze. This will be your favorite grilled chicken this summer! The flavors are fabulous! Place chicken in a large zip bag. 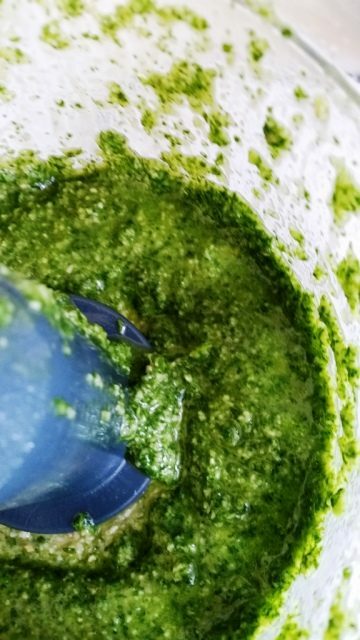 In a food processor, add olive oil, garlic, and cilantro. Blend until mixture is combined and smooth. 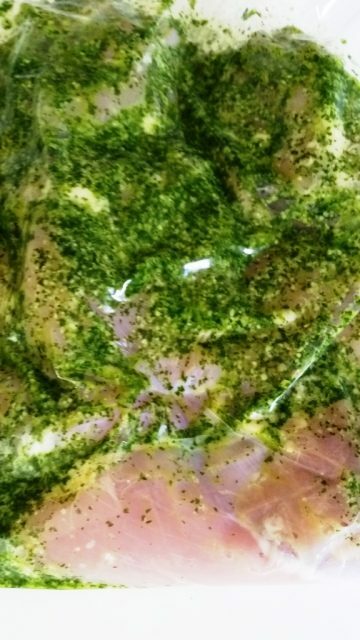 Pour marinade over chicken in Ziploc.Squeeze air out of the bag and zip it closed. Knead marinade into chicken until it is completely covered. Marinate overnight or all day. Preheat grill to medium heat and coat grills with vegetable oil. Remove chicken from the bag and place on grill for 4 to 5 minutes on the first side. Try to get grill marks. Flip chicken and grill for another 3 to 4 minutes, or until the chicken is cooked through and no longer pink. Serve chicken on a platter and brush the sweet chili sauce on top. This looks SOoo amazing! I’m a HUGE cilantro lover. can’t. stop. staring … thank you for the marvelous recipe, Nettie! I’ve pinned, tweeted and shared this beauty.